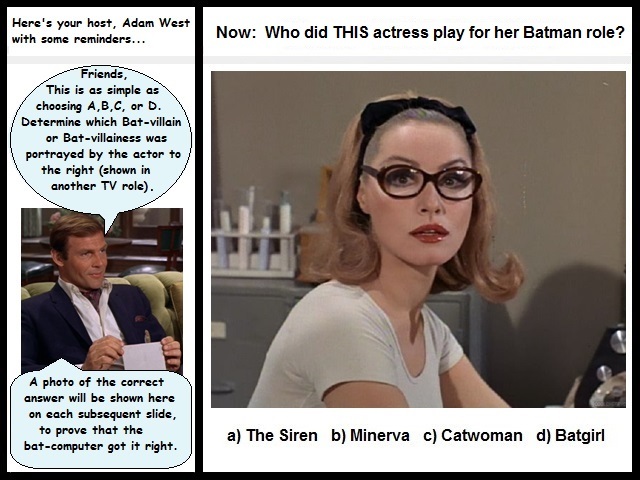 Can you choose the Batman TV villain(ess) who was portrayed by the actor shown here in a DIFFERENT TV show performance? Enter A, B, C or D.
The instructions are clarified on the left side of the first slide. Some characters may appear more than once as a correct answer. Note: The "previous" and "next" buttons are intentionally disabled for this quiz because answers are displayed on successive slides.